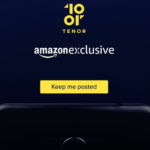 Jio has literally smashed the major telecom companies in India by launching new 4G plans that gives unlimited internet for 3 months at just 309 Rs. Now the giants like Airtel, Idea have no other choice but to revise their existing tariff plans and it’s good to see that they are coming up with great value for money offers. Exactly 2 months ago, Airtel had launched Rs 244 plan where it was offering 1GB data per day for 70 days but the free calling was limited to A-A only. 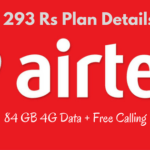 Now Airtel has unveiled its latest 293 recharge plan which might sound like a great treat for non Jio users. As you can see in the above table, Airtel is providing the full offer benefits only to its new users. However old customers are also getting sufficient data & free calling facilities to any network. In short, new users will get total 84 GB data (1GB daily) for 3 months or you can say 84 days to be precise. If you are already on the Airtel’s network then after activating this 293 plan, you’ll get 28 GB 4G data for 28 days. 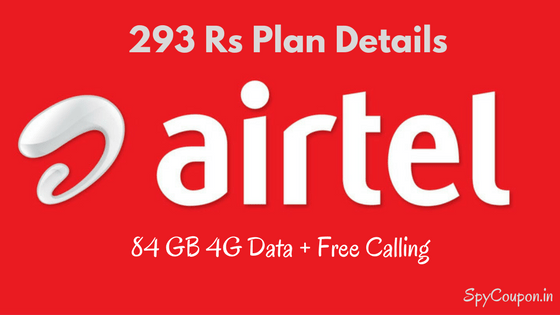 If you are planning to buy a new airtel sim card for availing 84 GB data, then simply ask the retailer to do the first recharge of 293 Rs. Existing users can head over to airtel.in, freecharge or paytm & initiate 293 rs recharge. Alternately, you can dial *121# ussd code from your cellphone & check the offer availability. Still have doubts? Don’t hesitate to use our comment section.